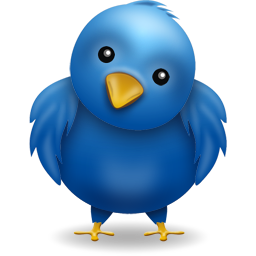 Follow Friday is a recent phenomenon on Twitter where users recommend other users that should be followed. Micah Baldwin of Lijit started Follow Friday and you can read about it on Mashable. I’ve created this post to share some of my favorite recommendations with a small explanation. This certainly isn’t final and will be edited in the future. If you were left off, it was likely a mistake and I apologize. Be sure to add yourself and your suggestions in the comments section as I’ll be tweeting this list out in the future. @lram2 – coolest sportscaster. ever. Here’s why. Thanks for checking the list and again, add yourself to the comments! I’d like to suggest my TweetCampSA co-organizers, @epodcaster and @andinarvaez, two of the awesome women leading the social media charge in San Antonio! Absolutely, Colleen. Additionally, I talked about TweetCampSA on Great Day Sunday that will be on this Sunday. Thank you for the suggestion, with these lists, great people always get left off. Thanks for the mention, Nan. You be good, capiche? Can’t wait to see your spot on Sunday! Yes, great people get left off but that’s because there are so many of them that it would be difficult to remember them all. Good problem to have! And, cool that you encourage readers to leave their suggestions. Thanks for the shout out, oh tech guru of the Alamo city. You’re welcome, it’s well deserved! Thanks to Colleen for the shout out and to Nan for the post. This is what #followfriday should be all about. Thanks for helping give it a bit more substance than 140 characters usually leave room for. I learn from these folks everyday! It’s great following such brilliant minds! And don’t forget yourself there @nanpalmero! Nan, you’re a tweeting genius. Sauce me, scattered, covered, smothered, and chunked. I’m @phikai…I run EDL Industries The #1 Source on the internet for Blackberry Launchers! Hai @nanpalmero…once again the list is amazing…great idea! Thanks for the follow and kind comments, you are one of my faves I admire and it’s an honor to follow you and be followed by you. You have a large set of footprints to follow! I made the list!!!!!!!!!!!!!!!!!!!! Thank you for making one of my goals (to be one of @nanpalmero’s Follow Fridays…) come true! Thank you for making my day though…it was otherwise kind of long and lousy! You’ve set your goals impeccably low, so I’m glad I could assist you in making it happen. Thanks again for the continued follow friday support. Hope all is well. Am I allowed to give props to myself? As the self-annointed SEM-Master and Display/Behavioral ad guru I am New to Twitterverse and although I have a Blackberry, not sure I qualify for BB cool. Need followers so hop on the @ReachLocalSa train!